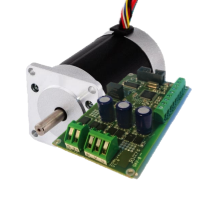 Take a look at our motor and controller packages, which are specially optimized for industrial applications. Our motor controls designed to maintain first-class performance in the industrial environment. 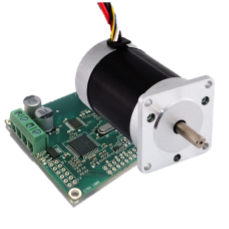 We offer high-resolution stepper motor control as well as brushless DC options. As with our other packages, we can offer you a variety of other features to customize your package. This includes hardware changes and individual branding. Don’t forget that you can use our quick chat function on the site if you have a request. Not sure what you need? Call us to talk to an engineer today! Standard setup will include 0-5V speed control with enable input. Alternatively you can request a customised motor control programme here. The ZDBL20DC-M-42056 package will be supplied pre-optimised with a standard speed, direction, enable setup included. Alternatively you can request a customised motor control programme here. The ZDBL30-57470 package will be supplied pre-optimised with a standard speed, direction, enable setup included. Alternatively you can request a customised motor control programme here. The ZDBL30-57440 package will be supplied pre-optimised with a standard speed, direction, enable setup included. Alternatively you can request a customised motor control programme here. The ZDBL30-57370 package will be supplied pre-optimised with a standard speed, direction, enable setup included. 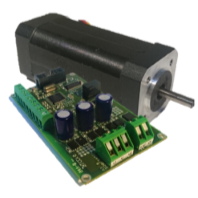 Alternatively you can request a customised motor control programme here.